Klaus Wilting is the proud owner of this new Ferrari Red M5 Carbon High Racer with a Tail Bag 21. 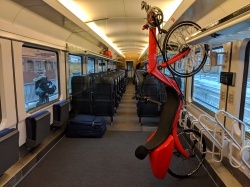 He was able to get his bike fairly easy with him in Dutch and German trains all the way to Berlin. 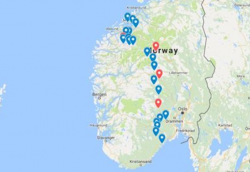 The 800 km trip Bram is currently making takes him all the way from Molde to Kragerø, Norway. The red markers indicate the overnight stays. See a detailed map here! and Marvin Tunnat (also M5 CHR) from Germany second during World Championships in England last week. Stijn won the Friday the 13th sprint competition, with 67.5 km / h !! according to the GPS, with Marvin as second. Then on Saturday, Marvin was the fastest on the time trial and the one hour criterion, with Stijn becoming second each time. So everything was decided on the last day, where Stijn had to win at least twice to win the final victory. In the 15-minute criterium Stijn was able to place a demarrage at the start of the last round and secure himself from the first place. 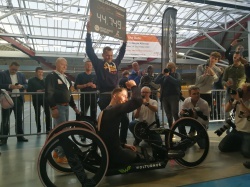 The 3 hour race was also decided in the sprint: at the start of the last corner Stijn was still in the wheel of Marvin and started at 400m from the finish with his sprint. It remained very exciting but with a narrow victory Stijn could assure himself to win this stage and the general classification. RESULT: Place 1 and 2 for an M5 Carbon High Racer! By the way; This is the same bike that Stijn uses to cycle with his family to his granny on Sundays !! (only different wheel-set). With the semi-streamlined bikes the world title went to Hanss Stresius (DE) on an M5 Carbon Low Racer so the M5 party was complete again. Tribute to all riders for their efforts !!! After 4 years climbing the Dalsnibba mountain again in Norway. 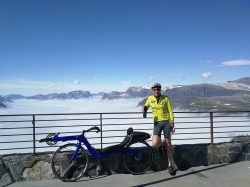 A steep trip which starts in Geiranger at sea level and brings one to 1576 meter a.s.l. with a lot of hairpins! On top one is rewarded with sunshine all over...Until August the 18 th, the M5 showroom is closed. In this time we will improve our physical condition by cycling in Norway. E-mails are answered although with some understandable delay! Is this the clap skate of road racing? A bicycle wheel with two spokes: an innovation by which Dutch inventor Bram Moens wants to conquer the world of cycle racing. This doesn't happen without effort, but BNR spoke with a racer who, since using the wheels, has increased his speed so dramatically that he's completely convinced. A wheel with two spokes? "the idea is already thirty years old", says inventor of the wheel Bram Moens. "The fewer spokes, the better. Eddy Merckx already said it: every spoke is a brake. So it's best to have the least possible number of them. Nowadays this is technically possible, because there are now fantastic carbon fibres to make these products." Moens calls the two spokes "wing profiles". "When they were ready and we tested them, it showed that the two profiles generate a lower air pressure in the plane of the wheel, meaning it takes less effort to cut through the air. So, less energy and higher speed." The 45 year old Remco Grasman is a so called elite racer without contract and the best time trial rider in our country; in the category 45 plus he even became world champion. The uses the Moens two spoke wheels and says he has become much faster on his bike. "A first race conformed it immediately", Grasman says. 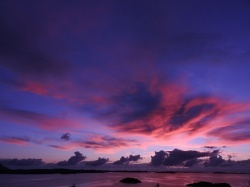 "It was a short time trial of 7 kilometres. I cut 12 seconds of my personal record. That's a lot on 7 kilometres." He didn't believe immediately that it was because of the wheels. "I thought, well, it's a coincidence. The second race I also won with superior numbers (...). So I increasingly attributed it to the wheels. Still it takes Moens effort to sell his innovation. "We saw the same thing with the clap skate. It was introduced in 1994", he says. 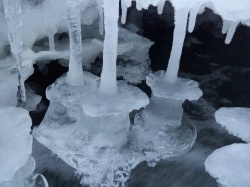 "In the beginning people chuckled a bit about them too, but four years later everybody in Nagano used them. And everyone was riding new world records." Click here for the full story in Dutch, including sound clips of the interview with Bram. The M5 2-SPOKE wheel on BNR News Radio. Bram reports about the developments and aerodynamic advantages. World champion Remco Grasman confirms the claims with remarkable results during several races. Will 2-SPOKE follow the path of the clap skate? A somewhat slow introduction, followed by a broad dispersion in the world of competition, making it the new norm?